Maybe you dream of hosting your own television or radio show or becoming a groundbreaking journalist or blogger. Or maybe you prefer to work behind the scenes as an editor, producer, technician, or camera operator. STAC’s degree in communication arts prepares you for all of this, and more. You have the option of pursuing Broadcasting & Digital Content Production, Social & Interactive Media or a general track. In addition, our social media minor will help you navigate and work in today’s social media culture. The minor combines marketing and public relations courses to make sure you understand how to develop meaningful content across a range of social media platforms. Communication Arts students in Professor Elaine Winship’s CA 322 Public Relations Event Planning and Crisis Communication class have been working all semester to learn the basics of public relations events while planning the annual Communication Arts speaker event. This year’s event, Next Level Networking, will feature four Communication Arts alumni speaking about their current work and networking strategies. Communication Arts students at St. Thomas Aquinas College will dress in holiday-themed costumes for a Santa Fest and join the #GivingTuesday movement on Tuesday, November 28th to raise awareness and donations for Project Joy, a People to People initiative that provides holiday gifts to children in more than 800 low-income families in Rockland County. 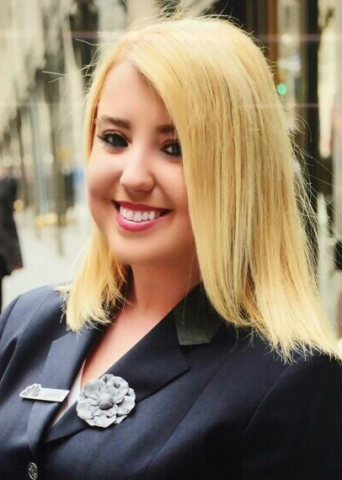 Lauren landed a coveted position in NBCU's Page Program after graduation. But it wasn't easy. Read more about how her persistence paid off. Students in the Television Journalism class produce traditional news broadcasts throughout the semester. 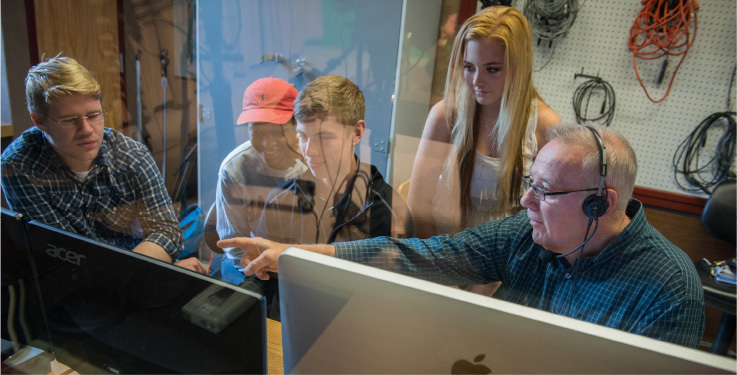 Other studio production classes produce various creative pieces and short films. Check out their YouTube Channel to view more.